One of the stylistic choices miniature painters have is how to represent the distribution of light on the surface of the model. The most realistic representation is not necessarily the most desirable even if it was achievable by a hobbyist with no education or training in art. Unlike in say two dimensional art, such as on a canvas painting or projected as a television image, where the lighting is fixed within its setting a miniature is free to be manipulated in space and viewed from all angles. A realistic light situation with all elements of light and shadow carefully rendered would appear correct from only a specific viewing position. 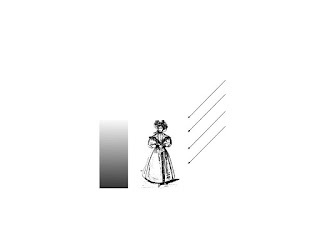 This would be acceptable for a diorama but perhaps not for a tabletop gaming piece. A possible solution to this limitation is that of zenithal lighting and this article will attempt to explain to the mechanics of this concept. 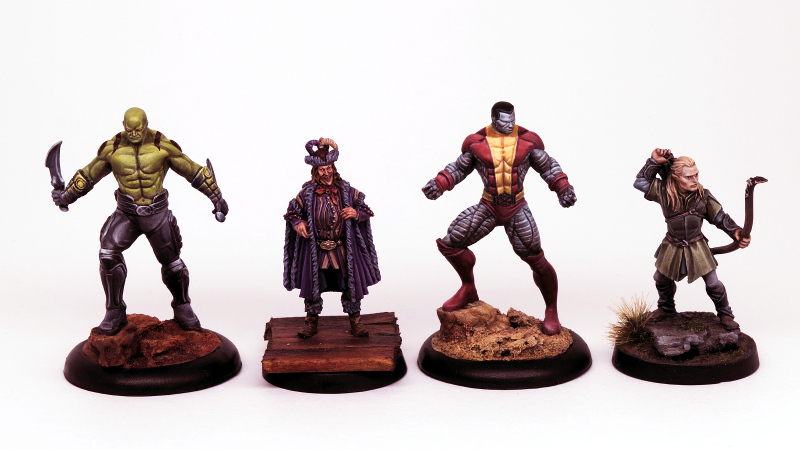 Whilst it should be understood that miniature painting is a creative activity not bound by any strict rules, knowledge of how light behaves in the real world can assist the beginner and even the more experienced painter in this process. Zenithal lighting is the representation of light on a model from an overhead position. This is in my opinion about as detailed as any definition of the concept can be. 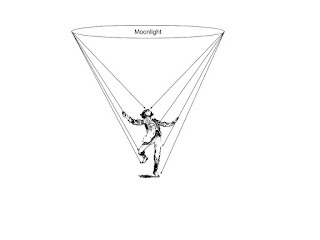 Typically the light source is considered as a ring or cone of light falling evenly from all directions but it can also be a point source falling on say the front of the model. You may read more description definitions but these are most likely to be specific instances of the general concept. To apply zenithal lighting to our models we must then have a precise interpretation of the concept with an understanding of how the appearance of light varies in relation to the surface of the model. 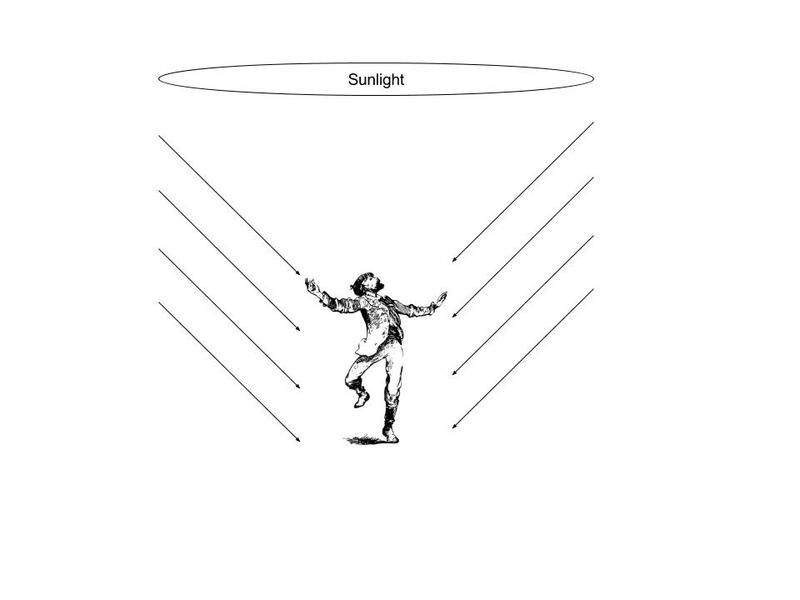 This understanding can be developed by considering the factors that determine the amount of light reaching the surface. 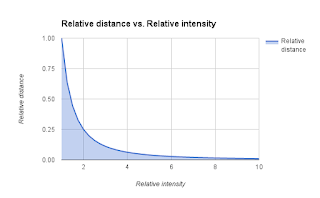 Effect of distance from the light source. 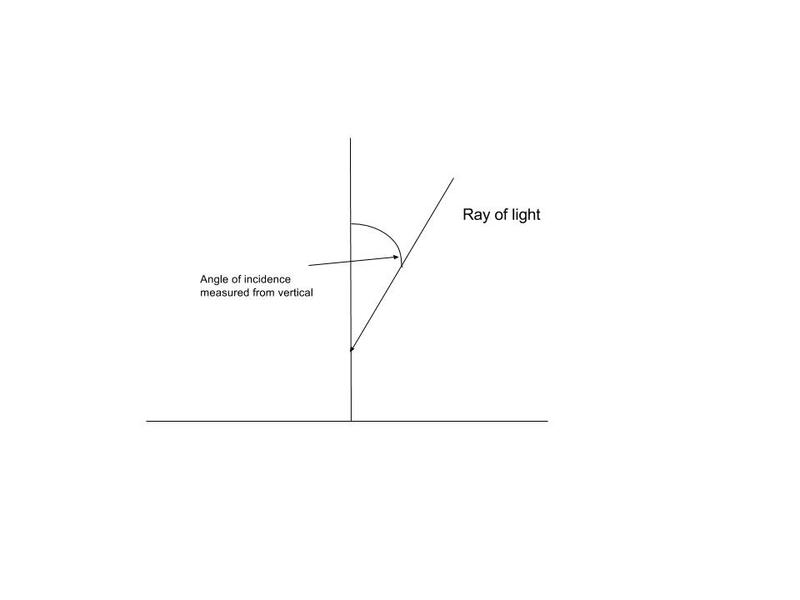 The intensity of light reduces the further an object is from the light source and can be described mathematically as an inverse square law. As we can see from the graph the initial decrease of intensity is very rapid as we move away from the light source but this change becomes less significant beyond a certain relative distance. The scale of the distance is determined by the size of the light source. A small light source such as a pocket torch will produce a rapid decrease in intensity. 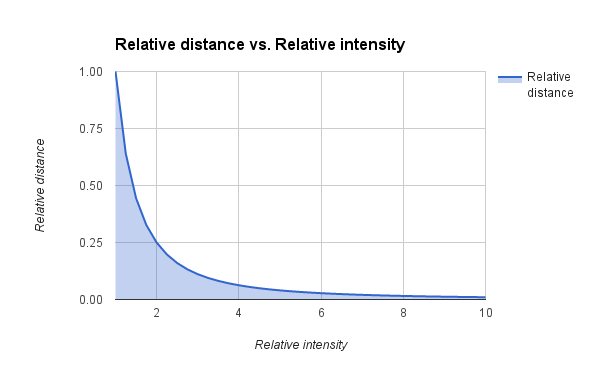 Whereas for a large light source the relative distance will be far greater. 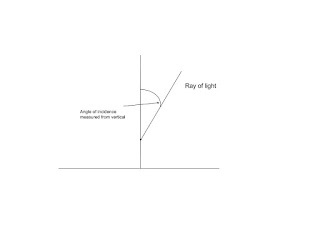 With a directed light source the amount of light reaching a surface varies relative to the angle of inclination between the surface and light rays. This variation can be described by a cosine law. The maximum intensity occurs when a surface is perpendicular to the light source and decreases as the surface rotates away from the light. The lightness is reduced to half at an approximate rotation of 60 degrees and no light strikes a surface parallel to the light source. With this knowledge of light variation we can now examine specific zenithal light situations. 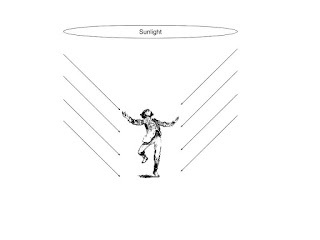 The most common light situation is to be outside illuminated by the sun. The nature of the light source means we can disregard the effect of distance and so only the inclination will be considered. 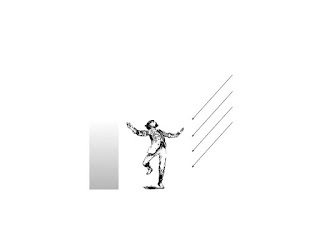 The direction of the light rays is consistent and for the purpose of this example be set to 45 degrees. Applying the cosine rule, the parts receiving the most light will be those facing the light, which for a human model could be the bridge of the nose, the front of the shoulders or depending of the pose, the arms or thighs. We should note that the top of the head and shoulders are not the lightest parts being at a shallower angle. 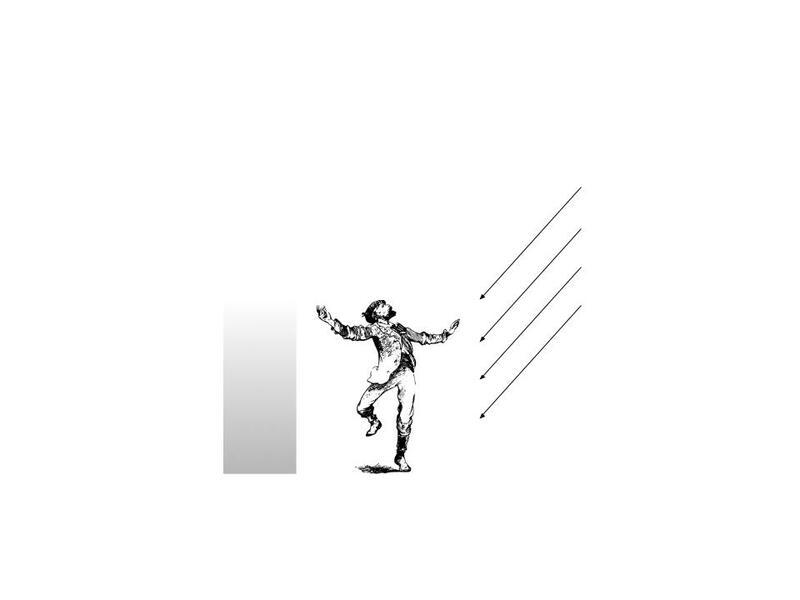 Flat surfaces perpendicular to the ground will show no change in light since the angle of incidence is equal at all parts. Surfaces turned away from the light will be darkest overall but not completely black, devoid of any light, as this would not be very interesting and there would be sufficient reflected light from the ground to provide some illumination of these parts. To suggest moonlight a modified version of sunlight may be used. The construction is artificial and not a true recreation of the real world but for the purposes of atmosphere will serve us well. Here the direction of the light ray varies with distance from the top of the model to the bottom. It is not necessary to attempt any calculation, but rather create a separate gradient and incorporate this to our mental process. 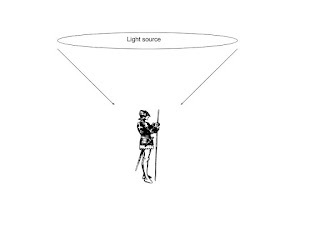 We can then replace the varying angles with a constant direction of light as in the previous example. This type of zenithal lighting gives a very attractive appearance as the face, the focal point of the model, naturally receives the most light. 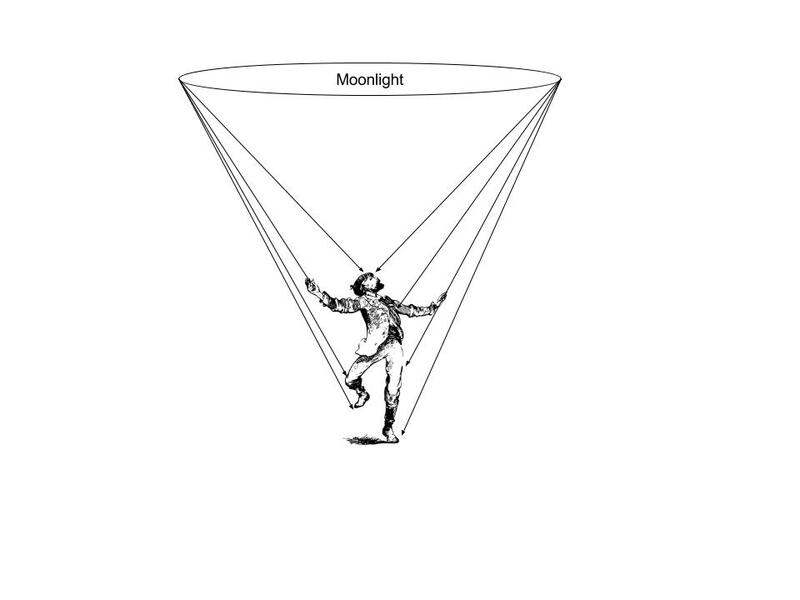 With street lighting both angle of incidence, as described by the moonlight example, and distance from light source need to be considered. 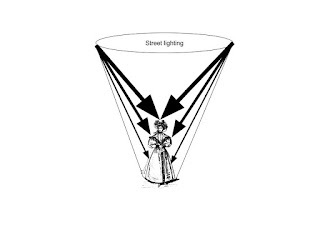 The amount of light reaching the top of the model will be greater than that at the bottom irrespective of angle. 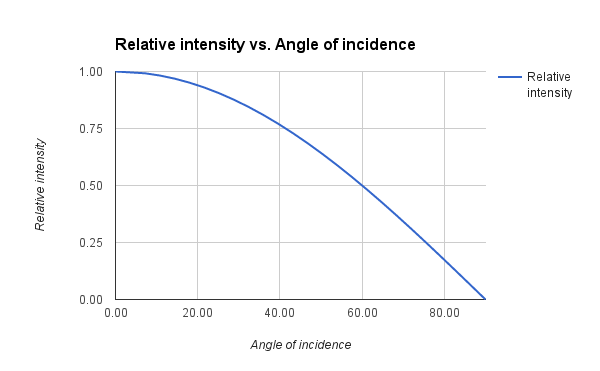 Again we need not attempt to calculate the intensity of light at each point of the model. 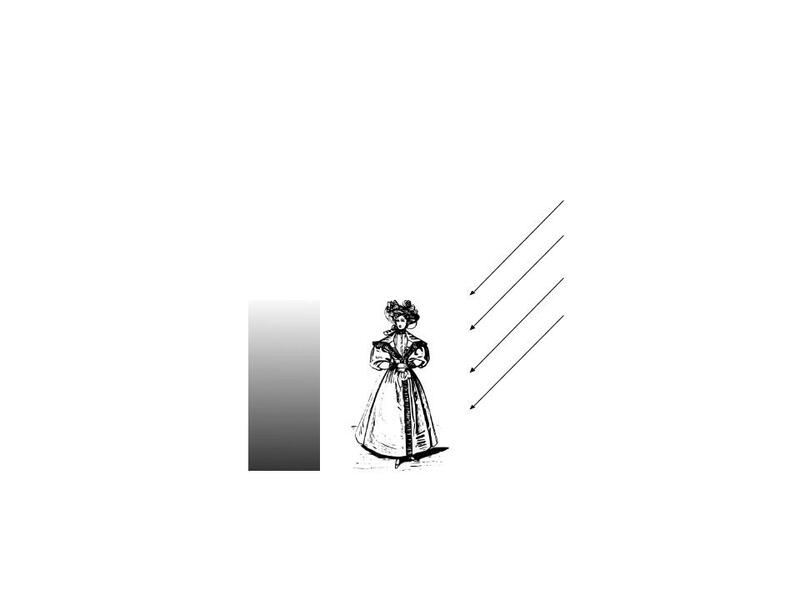 Instead we can simply exaggerate the value gradient from the previous example. This type of lighting can be very dramatic with the light varying from a bright focal point to dark shadows. There are many other ways to interpret zenithal light but I hope this article is of some assistance in your miniature painting.